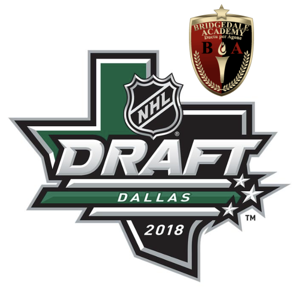 Bridgedale Academy is proud to announce that three (3) of its recent graduates were selected in the recent NHL Draft. Jacob Pivonka was selected in the 4th Round, 103rd overall, also by the New York Islanders. Spencer Stastney was selected in the 5th Round, 131st overall, by the Nashville Predators. All three young men competed for USA Hockey's National Team Development Program (NTDP) the last two seasons. They left Bridgedale after their 10th grade to join the NTDP in 2016. Jacob and Spencer will begin their NCAA D1 college careers this fall at the University of Notre Dame. Bode recently de-committed from the University of Michigan and is weighing his options. We at Bridgedale are very proud of these young men and wish them the very best as they move into the next phase of their remarkable young lives.